Food is not only essential to sustain life, but is also associated with caring and sharing good times with family and friends. Food has important physical, social and emotional significance and whether you are suffering from mesothelioma or are a caregiver for someone diagnosed with mesothelioma, it is beneficial to plan meals with these issues in mind. Many caregivers worry about how they will be able to meet a loved one's nutritional needs when they become ill, or are distressed when they prepare a nourishing meal only to have it rejected because of the patient's lack of appetite or inability to tolerate certain foods. The "Nutrition and Diet" section offers ways to help reduce caregiver stress, prepare healthier and more balanced meals for themselves and their loved ones and make mealtimes more enjoyable for everyone. If possible, meals should be planned so they may be shared with the patient. In this way, food satisfies not only physical, but emotional needs as well. The caregiver can plan a heavier meal for themselves, followed by a light, shared dessert. Breakfast may be a shared meal of toast, cereal, fruit or yogurt with only a difference in the quantity consumed by the caregiver and the patient. It is important to recognize that nutritional needs may change during the course of an illness, and it is up to the caregiver and the rest of the health care team to adapt accordingly. 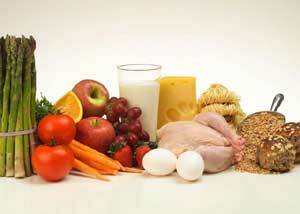 It is equally important that the caregiver's need for a well-balanced, nutritious diet be met. Stock the pantry and freezer with the patient's favorite foods so that it won't be necessary to shop as often. Include foods that the patient will enjoy even on days when they may not be feeling their best. Cook in advance and freeze foods in meal-size portions. Talk to relatives and friends about helping with shopping and cooking, or ask that a relative or friend take over these jobs. Talk to the patient's doctor, nurse or dietitian about any concerns regarding the patient's nutritional needs. A dietitian can help plan meals or develop a grocery list taking into consideration any nutrition problems the patient may have. The value of good nutrition for any mesothelioma patient, whether they have chosen to be treated aggressively, or whether they have chosen palliative care, can not be stressed enough. In either case, appetite may be adversely affected. By eating well, they may be able to avoid losing weight, or to regain weight that was lost. In addition, good nutrition is important in allowing the body to fight infection or in combating the side-effects of treatments such as surgery, chemotherapy or radiation. Balanced nutrition means eating a variety of foods that provide necessary nutrients to maintain health. Since the nutrient needs of each patient may vary, it is encouraged that individuals work with their doctors or a nutritionist to set goals specific to their particular circumstances. With any serious illness, the goal of good nutrition is to prevent or reverse nutritional deficiencies, minimize the side effects of the illness and/or aggressive treatments and maximize quality of life. 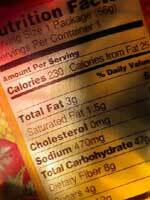 Following are some general guidelines of what various nutrients provide in the diet. Protein: Protein helps ensure growth, repairs body tissues damaged by surgery, chemotherapy and/or radiation, and helps to maintain a healthy immune system. Most patients require additional protein during and after aggressive treatments to help heal tissues and lower the risk of infection. Vitamins and minerals: Vitamins and minerals help ensure growth and development, in addition to allowing the body to use the calories supplied by the foods eaten. While it is not always necessary to supplement vitamins and minerals during times when one is maintaining good eating habits, it may become more important when the challenges of being ill or undergoing treatment make eating difficult. Water: Water is essential for life. Without enough water, the body becomes dehydrated. Discuss how much water you should be drinking each day with your doctor or nutritionist. There may be times when diet may not provide enough calories and proteins to meet the body's needs. At these times, the doctor may recommend a commercial nutrition supplement. Products such as formulas and instant breakfast powders are usually readily available at the supermarket or drug store, as are products which can be added to any food or beverage to help boost calorie content. These supplements need no refrigeration until they are opened, so they can be available for use at anytime. Note: Most commercial nutrition supplements contain little or no lactose, however, it is important to check the label if you have a lactose intolerance. Check with your doctor or dietitian for the product he/she feels is best for you.